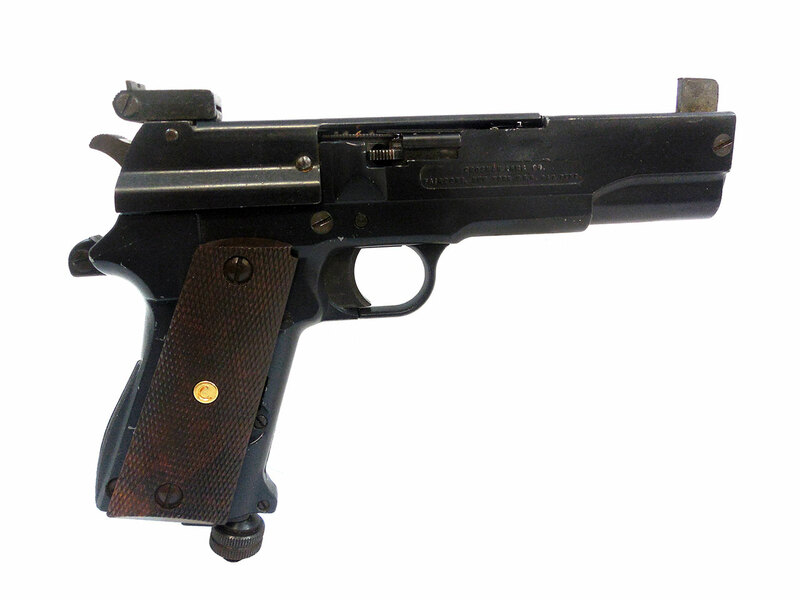 While it says .45 auto on the gun, the Crosman .45 Military Auto is actually a .22 caliber, CO2 replica of the Colt 45 Automatic. 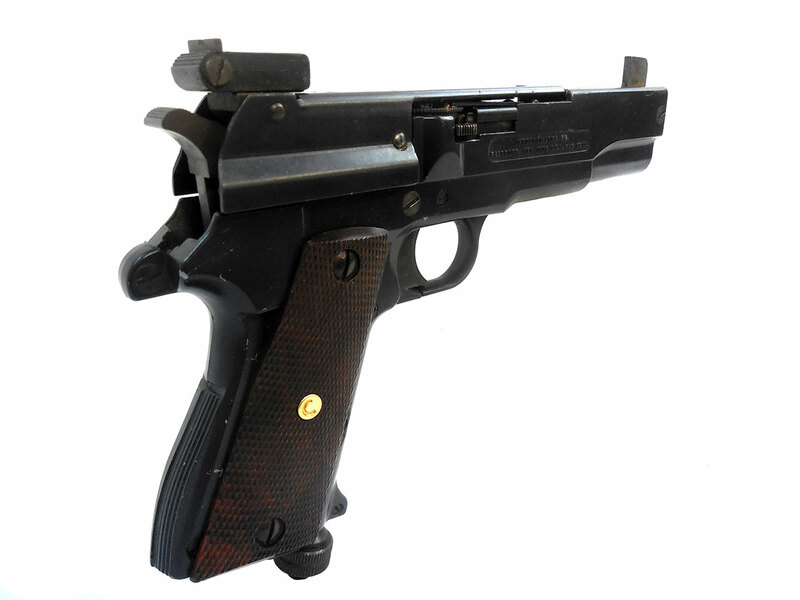 This is a true single action semi auto pellet pistol. This is a pretty interesting airgun, and you can learn more details about the model at the Airgun Academy. They were only manufactured during 1969 and 1970, but not for a full 2 years. 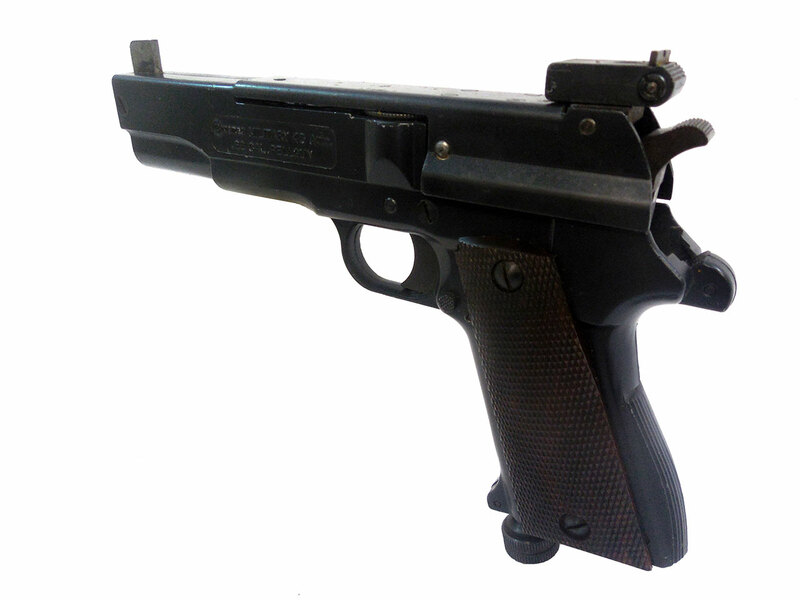 The metal on this gun retains about 90% (probably better) of the original finish, and the plastic grips are in very good condition with no cracks. 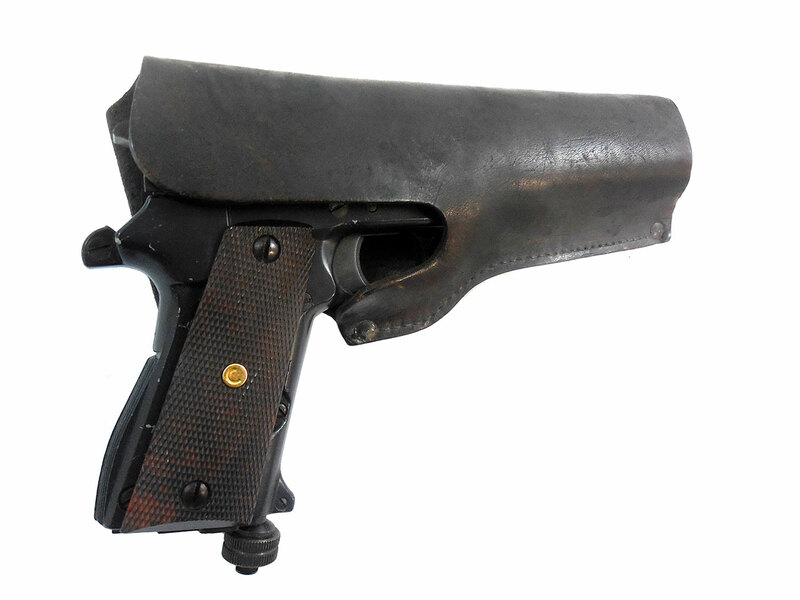 We’ve also included a holster with it. This gun is shooting, but it’s being sold purely as a collectable. We’re selling it as is, with no warranty or returns. Velocity was rested in our shop at around 342 fps using lead pellets. 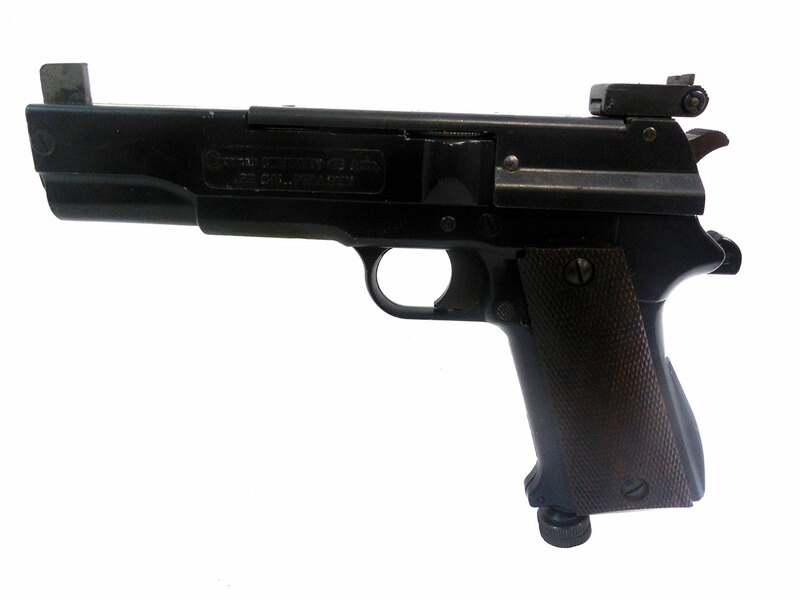 This is a fantastic collectable gun, and as of now still shoots.